It is a pleasure to announce I am honored with no less than four Highly Commended Awards in the international nature photography contest Memorial Maria Luisa, MML 2013. Photographers from 43 countries, in all 12,000 images, entered this year’s competition. This was my first attempt in this “Mountain and Nature Photography Contest”. Achieving four awards makes me the most winning photographer in the contest together with the Swiss photographer Samuel Bitton. I am of course both honored, grateful and happy for this recognition which gives great energy! All four images are taken in 2013. Two of them are presented in black and white. The images are awarded in three different categories; Arctic Fox in Animal World category, Polar Bear (black and white) in Biodiversity category, and Serval Cat and Arctic Fox (black and white) in Animal World Portrait category. I also had one image of Razor Surgeonfish in the final in the underwater category “Water as a container of life”. 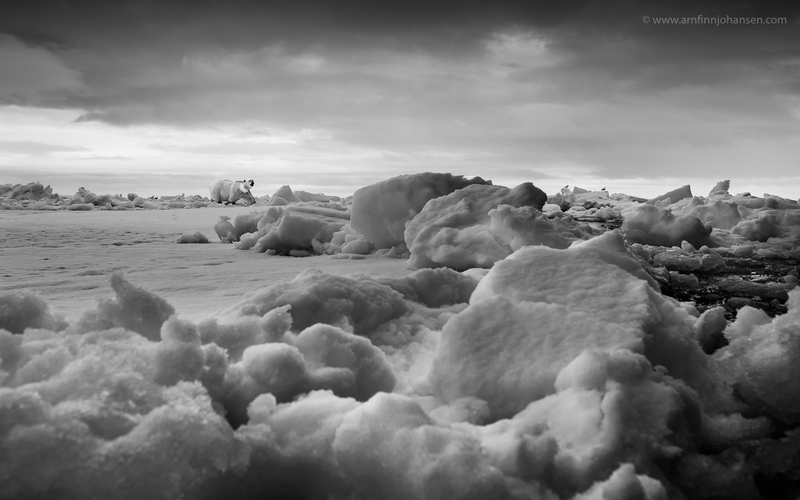 The Polar Bear image in black and white was taken at Svalbard in Norway on a trip in June 2013 arranged by WildPhoto Travel. The photograph is taken with a 14-24mm wide angle lens operating the camera with a monopod through my cabin window down on the ice floe. This gives an interesting perspective with out of focus snow and ice in the foreground and the polar bear behind in the horizon. 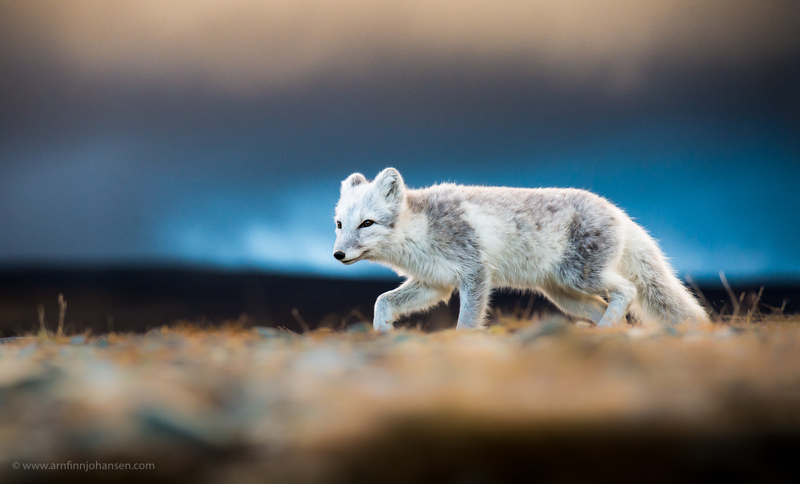 The images of Arctic Fox were taken in September 2013 at Dovrefjell in Norway. Only a few years ago this would be almost impossible, the species was nearly extinct in Norway. Thanks to a successful – but still fragile – project started in 2007, the population now is growing. I have great passion for Dovrefjell and have been visiting the mountain area regulary all year round since the 1980s, and I really hope that the Arctic Fox will be even more common to see in the future. The Serval Cat image was taken in Kenya on a private safari in February 2013. Together with my youngest daughter I spent a week in Maasai Mara concentrating on African cats. By time writing I have been twelve times in Africa but even then I have only a few Serval Cat meetings, so given the chance following this efficient hunter and beautiful animal for half an hour in the soft evening light was magical. Thanks to my good friend Big John in Maasai Mara doing a great job as always as our highly skilled guide. The MML 2013 price-giving ceremony will take place in Asturias on March 15th, 2014 at Cultural Center Cajastur in the city of Oviedo in Spain. Congratulations to all other winners and not the least main prize winner Fredrik Schenholm from Sweden. The winning images will be displayed on MML exhibitions and in the MML 2013 Yearbook availible for purchase from MML’s website. Please click on the images to enlarge and see them in 1400px quality and leave your comment below if you like. Polar Bear in black and white. Svalbard, Norway. Highly Commended photograph in Biodiversity category in MML 2013. 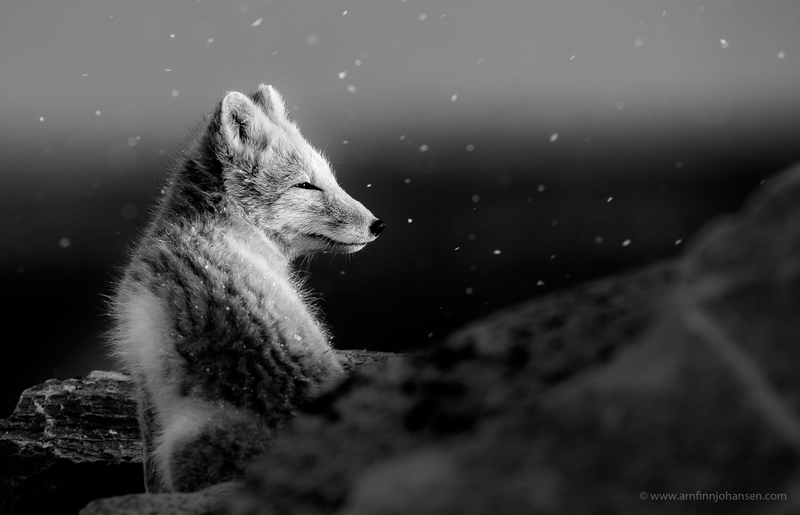 Arctic Fox portrait in black and white. Dovrefjell, Norway. Highly Commended photograph in Animal World Portrait category in MML 2013. Highly Commended photograph in Animal World category in MML 2013. 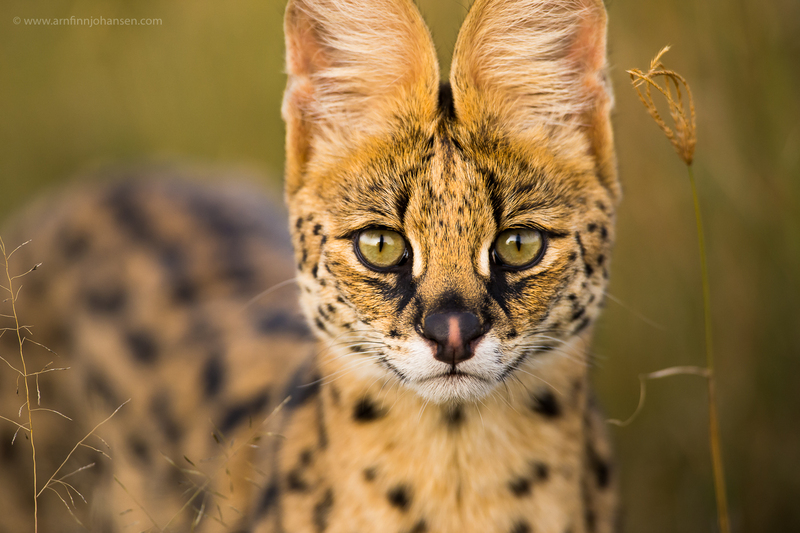 Serval Cat portrait. Maasai Mara, Kenya. Great to hear Arnfinn!!! Congratulation!!!! !